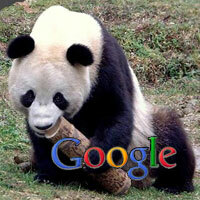 2 months after releasing the Google Panda - The story of AB Publish - From Start to end! Finding reliable statistics for Search Engine usage is hard. However all the major companies agree that Google is by far and away the number one Search Engine on the Internet. Following what Google is up to and being aware of any development is therefore important. The underlying algorithm behind its search engine is constantly evolving and significant updates are released every 6 to 12 months. During a conference about 2 months ago, Google representatives announced an important update to their algorithm, named the Panda Update. This was originally implemented in the United States and subsequently rolled out globally to all English-language Google users on Monday April 11th. Why does Google update their algorithm? According to the official Google Blog which offers insights from Google employees into their products, technology and the Google culture, Amit Singhal and Matt Cutts explain that Google is trying to find high quality sites. They posted that Google's goal is simple: "it is to give people the most relevant answers to their queries as quickly as possible." They then explain that this "requires constant tuning of our algorithms, as new content—both good and bad—comes online all the time." In other words, the engineers at Google are constantly tweaking their algorithm although most of these changes are so subtle that very few people even notice the Google search engine has been changed. The Panda Update was a major overhaul of their existing algorithm and its aim is admirable : to remove poor quality sites from the top of the Search Engine results pages by reducing the ranking of poor or low quality sites, and to ensure the sites that are shown at the top are more likely to be what the visitor is searching for by improving the ranking of high quality sites. This is understandable - Google wants happy users who are happy with their results and the sites that they find through Google's search engine algorithm - if not, they will go to another search engine. The exact rules underlying the Google search algorithm are a closely guarded secret. No-one outside the Google technicians know 100% how the position of websites is determined. However in the same way that we know the main ingredient of Coke is sparkling water (although the exact recipe and process for the manufacture of the drink remains a mystery) we can make deductions and observations relating to the Google search engine algorithm. Increase the internal linking within your organisation's Internet Website using strong, relevant keywords. Every new release from Google will result in winners and losers. Some sites will see their results appear higher on the first page of the Search Engine results then before and others will have been penalised and see their results appearing much lower or even on subsequent pages. The advice is still the same - concentrate on the content while you create your own business internet website and keep pushing - there is not one secret which will guarantee a top-ranking position within Googles search engine results, it is rather an accumulation of many things. I will revisit the Panda in The Google Panda Unleashed, and present some of the winners and losers and go a little more in-depth into how the Panda update is trying to achieve better search engine results.